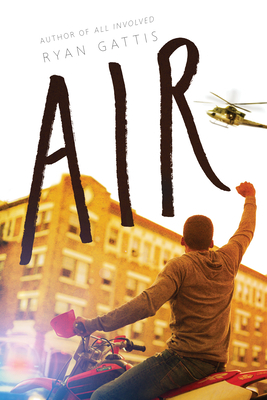 After 17-year-old Grey witnesses the tragic death of his mother in Colorado, he is shipped off to live with his aunt in inner-city Baltimore, where he struggles to fit in to a new school and community. His new friend Akil introduces him to the enigmatic Kurtis, the leader of a group that uses high-octane sports as a form of social activism. By challenging the police with death-defying stunts and posting videos of them online, Kurtis, Grey, and their group become unlikely heroes in the fight against the prejudice that surrounds them. As Kurtis takes Grey under his wing, they create a group name, an insignia, and a cause attracting more and more followers as they post videos of their extreme acts. The lines between social activism and criminal behavior blur and their escalating stunts become a rallying point for the underprivileged and disenfranchised around the country, spreading like wildfire across the Internet. How far will Grey and Kurtis go to push their message, and can their friendship withstand their growing notoriety?